Ms. Garretson is a graduate of Wayne State University with a Master’s degree in general and special education. She has enjoyed the privilege of working with children and adolescents for more than 25 years in a variety of capacities. Ms. Garretson is passionate about her work as it affords her the welcomed opportunity to advocate for students and work with their teachers and families to plan for their academic, behavioral, and social success. Ms. Garretson’s teaching career began with a resource room position which led to teaching and working with emotionally-impaired students serviced in a self-contained setting. Over the next 20 years she worked passionately to educate students with a variety of emotional, behavioral, developmental, social, and cognitive disabilities. For the past 5 years, Ms. Garretson has worked as a Teacher Consultant. In this capacity, Ms. Garretson conducted educational evaluations in order to aid in determining a student’s eligibility for special education support and services. She also provided input and worked closely with school staff to help overcome barriers when a student’s behavioral and social differences impacted academic and/or social progress. Ms. Garretson’s training as a crisis interventionist has afforded her the privilege of working with new teachers on classroom management utilizing a variety of communication techniques, as well as providing indirect services to students through teacher consultation to support the learning environment or modify instructional methods. In addition, Ms. Garretson worked over a decade as a supervisor at a summer residential camp for children and adolescents with emotional, behavioral, and social difficulties, helping them achieve personal/behavioral/social success through adventure challenge education experiences. At Arbor Psychology Group, Ms. Garretson will be providing educational advocacy services, as well as organizational and study skill supports for children with attention and/or executive function challenges. 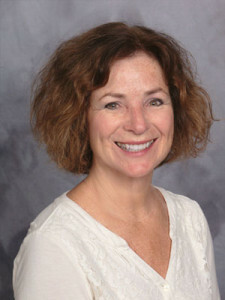 Her knowledge and experience with Individual Education Plans (IEPs) and Section 504 Plans, as well as the associated supports and accommodations available for each, will assist parents in understanding the practical implications of their child’s assessment data, as well as how to advocate for them and ensure their needs are met. Her experience as a Teacher Consultant has provided her with pragmatic intervention ideas to support children with attention and/or executive function issues (e.g., organization, planning, memory strategies and study skills).